Here's a subtle way to let the more observant people around you know that you're on a mission to catch them all. 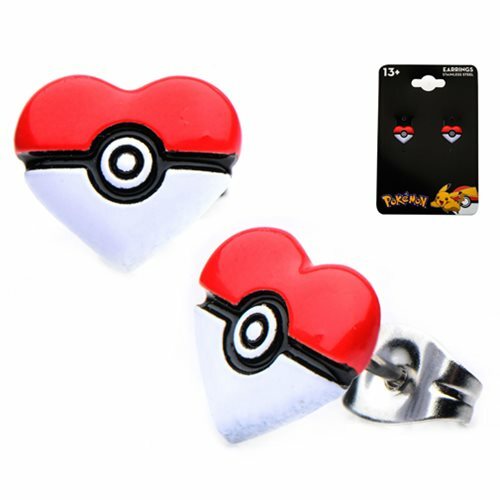 The Pokemon Poke Ball Heart Shape Stainless Steel Stud Earrings are a must have for Pokemon fans! These stainless steel stud earrings measure approximately 1/2-inch long x 1/2-inch wide. Ages 13 and up.